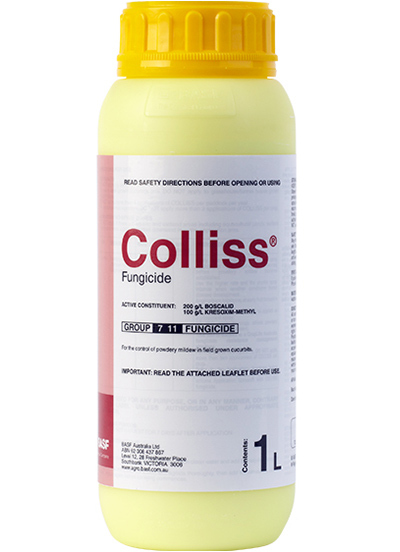 Colliss® is a novel combination of carboxamide and strobilurin type fungicides providing protectant activity against powdery mildew and gummy stem blight. It is locally systemic and translaminar to provide protection to new growth. Thorough coverage of the crop is necessary for best results. Best results are obtained from protectant applications prior to the onset of infection.